Match ends, Houston Dash 4, Orlando Pride 2. Second Half ends, Houston Dash 4, Orlando Pride 2. Attempt saved. Janine Beckie (Houston Dash) left footed shot from outside the box is saved in the bottom right corner. Corner, Houston Dash. Conceded by Ashlyn Harris. Attempt saved. Kealia Ohai (Houston Dash) left footed shot from the left side of the box is saved in the bottom left corner. Goal! Houston Dash 4, Orlando Pride 2. Kealia Ohai (Houston Dash) right footed shot from the centre of the box to the bottom left corner. Assisted by Janine Beckie. Becky Edwards went off injured after Orlando Pride had used all subs. Delay in match Becky Edwards (Orlando Pride) because of an injury. Offside, Houston Dash. Carli Lloyd tries a through ball, but Kealia Ohai is caught offside. Goal! Houston Dash 3, Orlando Pride 2. Kristen Edmonds (Orlando Pride) right footed shot from the centre of the box to the top right corner. Corner, Orlando Pride. Conceded by Cambria Privett. Offside, Orlando Pride. Camille Levin tries a through ball, but Jasmyne Spencer is caught offside. Kealia Ohai (Houston Dash) wins a free kick in the defensive half. Foul by Camille Levin (Orlando Pride). Goal! Houston Dash 3, Orlando Pride 1. Alex Morgan (Orlando Pride) left footed shot from the left side of the six yard box to the bottom right corner. Assisted by Kristen Edmonds following a set piece situation. Substitution, Houston Dash. Melissa Henderson replaces Denise O'Sullivan. Jasmyne Spencer (Orlando Pride) wins a free kick in the attacking half. Alex Morgan (Orlando Pride) is shown the yellow card for a bad foul. Ellie Brush (Houston Dash) wins a free kick in the defensive half. Foul by Alex Morgan (Orlando Pride). Cari Roccaro (Houston Dash) is shown the yellow card. Corner, Orlando Pride. Conceded by Ellie Brush. Foul by Cambria Privett (Houston Dash). Maddy Evans (Orlando Pride) wins a free kick on the left wing. Substitution, Houston Dash. 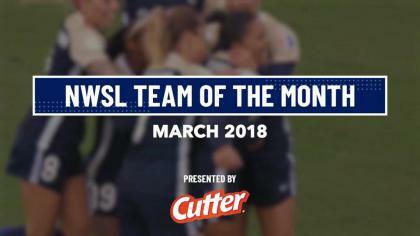 Amber Brooks replaces Morgan Brian. Substitution, Orlando Pride. Samantha Witteman replaces Josée Bélanger because of an injury. Foul by Morgan Brian (Houston Dash). Corner, Houston Dash. Conceded by Alex Morgan. Delay in match Josée Bélanger (Orlando Pride) because of an injury. Attempt saved. Janine Beckie (Houston Dash) right footed shot from the right side of the box is saved in the bottom left corner. Assisted by Carli Lloyd with a through ball. Offside, Orlando Pride. Maddy Evans tries a through ball, but Alex Morgan is caught offside. Attempt saved. Monica (Orlando Pride) header from the centre of the box is saved in the top centre of the goal. Assisted by Kristen Edmonds with a cross. Substitution, Houston Dash. Cambria Privett replaces Poliana. Delay in match Alex Morgan (Orlando Pride) because of an injury. Foul by Ellie Brush (Houston Dash). Goal! Houston Dash 3, Orlando Pride 0. Kealia Ohai (Houston Dash) right footed shot from outside the box to the top right corner. Assisted by Denise O'Sullivan. Attempt blocked. Denise O'Sullivan (Houston Dash) right footed shot from the centre of the box is blocked. Assisted by Kealia Ohai with a cross. Substitution, Orlando Pride. Becky Edwards replaces Toni Pressley. Attempt missed. Carli Lloyd (Houston Dash) header from the centre of the box is high and wide to the left. Assisted by Rebecca Moros with a cross. Attempt saved. Kealia Ohai (Houston Dash) left footed shot from the centre of the box is saved in the centre of the goal. Assisted by Carli Lloyd. Offside, Houston Dash. Rebecca Moros tries a through ball, but Janine Beckie is caught offside. Attempt missed. 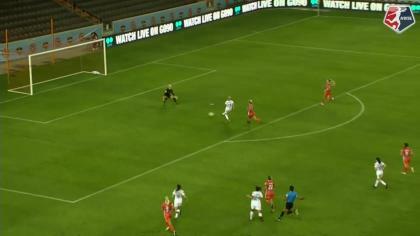 Kealia Ohai (Houston Dash) right footed shot from the centre of the box is close, but misses the top right corner. Goal! Houston Dash 2, Orlando Pride 0. Poliana (Houston Dash) right footed shot from the centre of the box to the bottom right corner following a corner. Attempt saved. Poliana (Houston Dash) right footed shot from the centre of the box is saved in the centre of the goal. Assisted by Andressinha with a cross. Corner, Houston Dash. Conceded by Toni Pressley. Corner, Orlando Pride. Conceded by Cari Roccaro. Second Half begins Houston Dash 1, Orlando Pride 0. First Half ends, Houston Dash 1, Orlando Pride 0. Alex Morgan (Orlando Pride) wins a free kick in the defensive half. Foul by Cari Roccaro (Houston Dash). Foul by Dani Weatherholt (Orlando Pride). Carli Lloyd (Houston Dash) wins a free kick in the attacking half. Substitution, Orlando Pride. Maddy Evans replaces Sarah Hagen because of an injury. Attempt missed. Janine Beckie (Houston Dash) right footed shot from outside the box is high and wide to the left. Assisted by Denise O'Sullivan. Delay in match Sarah Hagen (Orlando Pride) because of an injury. Attempt missed. Kristen Edmonds (Orlando Pride) left footed shot from the left side of the box is too high. Assisted by Alex Morgan with a headed pass. Foul by Toni Pressley (Orlando Pride). Kealia Ohai (Houston Dash) wins a free kick on the right wing. Attempt saved. Morgan Brian (Houston Dash) left footed shot from outside the box is saved in the centre of the goal. Offside, Houston Dash. Denise O'Sullivan tries a through ball, but Carli Lloyd is caught offside. Corner, Houston Dash. Conceded by Kristen Edmonds. Attempt blocked. Morgan Brian (Houston Dash) header from the centre of the box is blocked. Assisted by Andressinha with a cross. Attempt missed. Poliana (Houston Dash) header from the centre of the box is close, but misses to the left. Assisted by Andressinha with a cross following a corner. Corner, Houston Dash. Conceded by Kaylyn Kyle. Attempt blocked. Kealia Ohai (Houston Dash) right footed shot from outside the box is blocked. Assisted by Janine Beckie. Goal! Houston Dash 1, Orlando Pride 0. Janine Beckie (Houston Dash) right footed shot from the centre of the box to the bottom right corner. Assisted by Carli Lloyd with a cross. Kristen Edmonds (Orlando Pride) wins a free kick in the attacking half. Attempt missed. Andressinha (Houston Dash) right footed shot from outside the box is too high. Assisted by Janine Beckie. Corner, Orlando Pride. Conceded by Rebecca Moros. Offside, Orlando Pride. Kristen Edmonds tries a through ball, but Toni Pressley is caught offside. Attempt saved. Janine Beckie (Houston Dash) left footed shot from outside the box is saved in the centre of the goal. Assisted by Carli Lloyd. Attempt saved. Kealia Ohai (Houston Dash) right footed shot from the left side of the box is saved in the centre of the goal. Assisted by Rebecca Moros. Corner, Houston Dash. Conceded by Monica. Foul by Carli Lloyd (Houston Dash). Josée Bélanger (Orlando Pride) wins a free kick in the attacking half. Corner, Houston Dash. Conceded by Camille Levin. Attempt blocked. Kealia Ohai (Houston Dash) right footed shot from the left side of the box is blocked. Assisted by Morgan Brian. Foul by Sarah Hagen (Orlando Pride). Andressinha (Houston Dash) wins a free kick in the defensive half.